Awesome find with the spider web Linda! Happy Birthday, Linda! Hope I'm not late! I have also always wanted to find one of those great big cobwebs, preferably covered in dew drops--they don't seem to happen around here. I did get one large web in Florida (no dew drops), but at least got a bit of a rainbow of colors in the sun. Still waiting on the dew drop one! 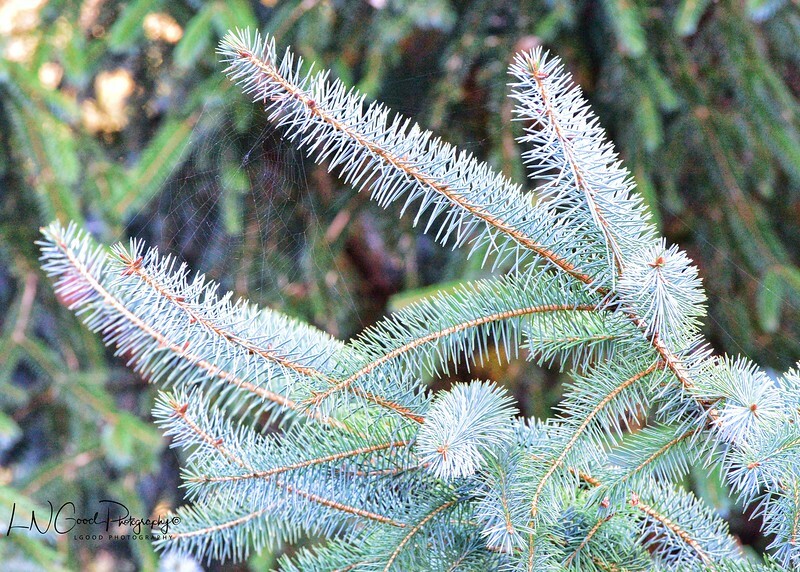 Excellent capture of the delicate web between the spruce branches!